The EzyDog DFD (Doggy Flotation Device) can greatly enhance the fun and safety for the time spent with your dog in and around the water. The DFD is fully functional in fresh water, salt water or a swimming pool. 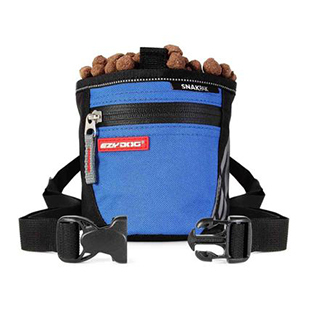 Because of its’ versatility it is a must have for all of your dog’s water adventures. Swimming is an amazing low impact work out for your furry friend. The DFD uses up to 50% more floatation than many other vests on the market. This extra flotation really makes a difference in the amount of energy your dog needs to use while in the water. The support and assistance your dog receives from the vest can provide them with more confidence and security while in the water. The DFD is fitted with a grab handle to ensure you can pull your dog out of the water with ease. It is reflective for added visibility and comes equipped with a storage pouch for all of the day’s essentials. With sizes from XS – XL we are sure to have the proper size for your dog. 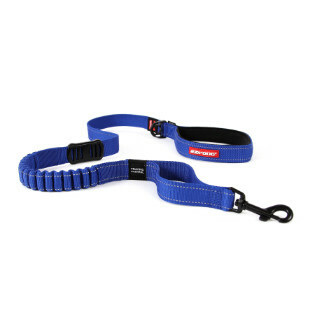 The three buckle system is simple to fit on your dog each and every time you use it. The extra-wide neoprene belly straps are comfortable and supportive for all day use. The neck strap offers some additional flotation, but it can also be adjusted to provide greater coverage for your dog’s entire body. It even includes a d-ring to attach a leash to, so you can get to the water safely. Colors red and yellow are offered for easy visibility while in the water. Whether you are using the DFD because your dog is a poor swimmer or because they are having so much fun they don’t know when to come back in to shore, the DFD offers the fit and function that your dog needs for all of their water excursions.